Our research project explores the change in development cooperation towards stronger private sector engagement and value-based partnerships between development organisations and private sector companies. What is their potential contribution to global development? The objective of the study is to offer research-based information to different development actors on how to turn the change in development cooperation into positive results and ultimately, how to bring positive results for children and other vulnerable groups. Given the level of ambition established by the new Sustainable Development Goals and the broader Agenda 2030, neither the state actors, nor development organisations will be able to effect the required change on their own. We need to engage more stakeholders, including private sector. However, at the moment, we do not have enough knowledge on how to best collaborate between these different actors. The study examines how the various players in the field of development are reacting to the growing role of the private sector in the field. Are they capitalising on it and what is a best way to do it? What are some of the key decisions that are now being taken in Finland and internationally? What motivates different actors and what expertise do they have in order to participate in the change. What can development organisations learn from private sector and vice versa? How do we make this change beneficial to vulnerable groups? In the project we use case studies to illustrate on partnership modalities that may work from the perspective of both partners. Moreover, we ask who exactly benefits from the added value entailed in the new modalities of development work. Finally, the study explores what roles can innovation play in development work? What is the potential of innovations in solving development challenges? The study seeks to establish what kinds of innovations are useful in developing countries. We identify local innovations, which are already being applied, and ask what we can learn from them. The study also discusses the potential role of Finnish innovations in international development. The study is cross-disciplinary, and uses mixed methods. 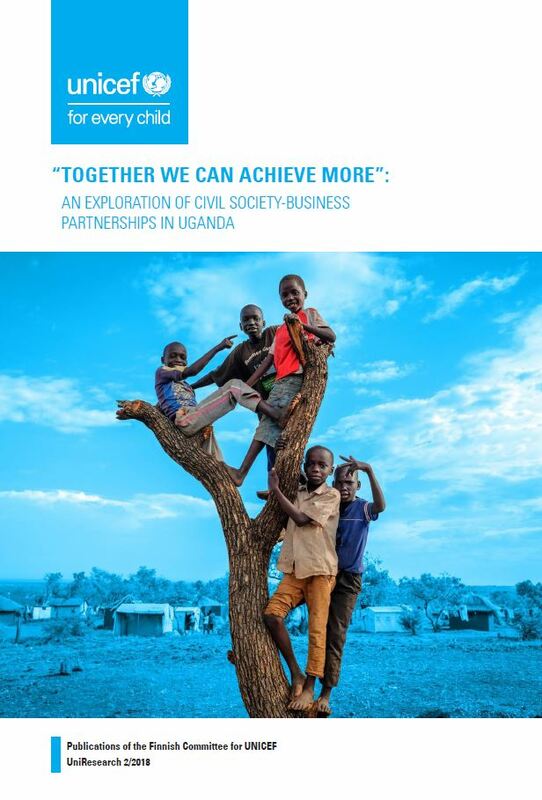 The research report examines CSO-private sector partnerships in developing countries, using Uganda as a case example. The analysis reveals siginificant differences in the motivations of CSOs and businesses to collaborate with each other. The research report examines the ‘private turn’ in development policy from the perspective of the Finnish CSOs by exploring the principal motivations of CSOs in seeking partnerships with the private sector. It also examines the challenges encountered by the CSOs in the process of identifying suitable partners from the private sector as well as during actual collaboration. The first research report examines Finnish small and medium sized enterprises’ understanding of and capabilities to participate in the development co-operation in relation to the objectives of national development policy outline.